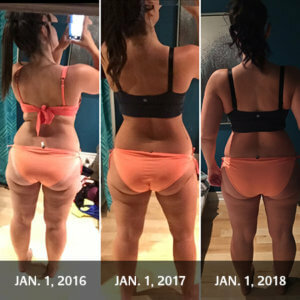 Sarah Figueiredo, 25 years old, decided to make a major life change when she made the decision to join One Health Clubs in January 2016. Soon after joining the club, Sarah found her love for hot yoga at our Mississauga location. Starting off by going to level one classes she soon realized that she loved so many of the classes here. Yoga allowed her to express her love for movement and work on her body whilst enjoying something at her own pace. Flexibility is something she always wanted to work on, and overtime Sarah started to notice how much progress she was making. FAST FORWARD TWO YEARS later and the results are incredible. She has lost 30 pounds, gained strength, toned up, changed her diet and remains in a regular workout regimen. “Being part of a supportive community, I have made great new friends, have integrated yoga into my everyday life. I’m proud of where I’ve come from, where I am, and where I’m going.